Attention - (4/9/2019) - Version 2.7.1 is now available! Check out the Release Notes HERE. Fresh KDS is a beautifully simple kitchen display system built for Square POS and Square Register. 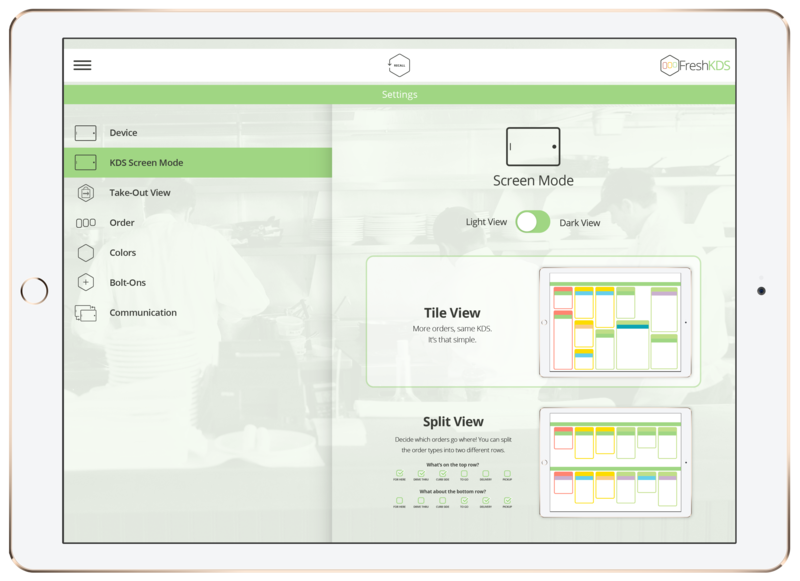 Fresh KDS can reduce or replace the need for printed paper tickets, and help your kitchen staff keep track of ticket times, get orders out more quickly, and gamify their work. How Hard Is It To Get Started With Fresh KDS? Getting started with Fresh KDS is easy and painless. Most restaurateurs call it a “non issue” or “a breeze”. It takes about 10-15 minutes including downloads. 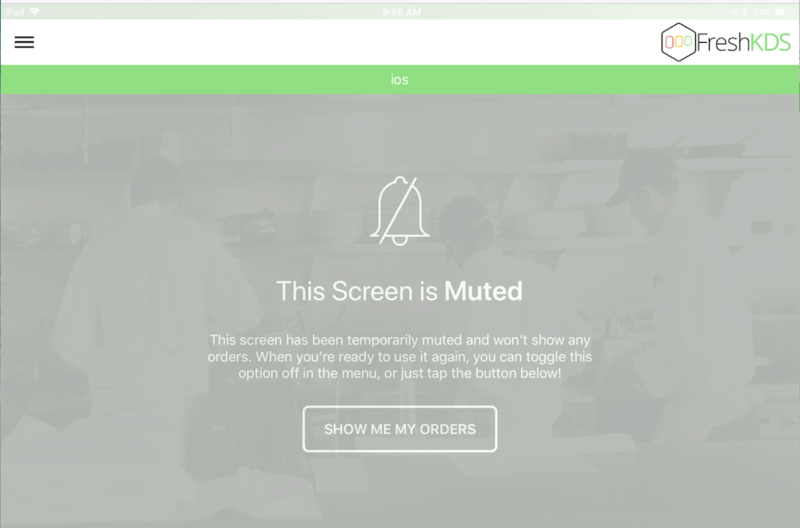 Basically, you sign up, connect to Square, and watch orders start displaying in real time. For step-by-step instructions view the Quick Start Guide. How Easy Will It Be For My Team To Learn The System? Fresh KDS is incredibly intuitive and has limited interactions to make it convenient for kitchen environments (gloves, moisture, food residue). Tap a ticket to clear it from the screen. That’s it. How Many Screens Can I Have? Currently, Fresh KDS can support up to 10 screens per location. The base package includes up to 2 screens, and it's super simple to add additional screens at any time. Note that each location requires a separate Fresh KDS subscription. Does Fresh KDS Support Multiple Locations? Yes! Each brand can have many locations, but each location will need a separate Fresh KDS subscription. You can upgrade or cancel a subscription for one location without affecting your other locations. Can I Use A Single Fresh KDS Subscription Across Multiple Locations? No, a separate subscription is required for each location. Is Fresh KDS Available Outside Of The USA? Yes! Fresh KDS is currently available in the countries listed below, and we are continuously adding support for additional locations. How Many Users Can My Brand Have? There is currently no limit to the number of users that can be associated with a brand. Indeed we do! In addition to detailed FAQs and troubleshooting guides, we have chat support and a Help Desk where you can submit a ticket any time. To chat with one of our customer service representatives simply tap the chat icon in the bottom right corner of your screen. To submit a ticket to our Help Desk, fill out the form on the Contact Support page and we will get back to you as soon as possible. You can request a trial via the messenger in the bottom right of the screen. If out of business hours please provide your email address and we will contact you the following business day. I'm A Loyal KDS Customer - Why Did The Price Increase? Fresh KDS 2.0 is a completely new system built from the ground up. The old pricing structure did not reflect the true value of our product, and did not provide the resources for us to adequately support the platform. Based on extensive market research, customer feedback, and many internal discussions we settled on a price that we feel is fair and affordable. We understand that price increases can cause some backlash, but hope that you can see the value in our product. We strive to build truly great products and offer world class support. Can I Use A Physical Bump Bar With Fresh KDS? Yes! We support the Bematechus/Logic Controls KB1700 USB bump bar. See "How Do I Use A Bump Bar With Fresh KDS?" for instructions. Basically, you sign up, connect to Square, and watch orders start displaying in real time. For step-by-step instructions click on Getting Started > Quick Start Guide above. Indeed we do! In addition to detailed FAQs and troubleshooting guides, we have a Help Desk where you can submit a ticket any time. Simply select Troubleshooting & Support > Contact Support. Is There A Specific Type Of Tablet My Square POS Needs To Be Installed On? The current version of Fresh KDS works with Square POS for both iPad and Android, and Square Register. Fresh KDS was developed for Android tablets running Android 4.2 or higher or iPads running iOS 10.0 or higher. Therefore you will need to update the device operating system if it doesn’t meet these requirements. Which Android Devices Do You Recommend And Support? For Fresh KDS to work properly, we strongly recommend Samsung or Asus tablets. Lots of customers who try with other (and often lower quality) tablets have issues with dropped tickets, wireless connectivity, and ability to connect to Square. Fresh KDS will not work with Insignia or Digiland Tablets. Also, we recommend using a 10” screen for visibility purposes. Which iOS Devices Do You Recommend And Support? Note: Fresh KDS is for tablets only, and will not work on iPhones. Yes, you will need an internet connection to be able to login to your Fresh KDS App. You will also need a good internal WiFi network for Square and Fresh KDS to communicate. Can I Connect Fresh KDS To A WiFi Hotspot On My Square Register? No, unfortunately Square Register is unable to communicate with devices that are connected to its own WiFi Hotspot. Yes, both Square POS (or Square Register) and Fresh KDS must be connected to the same WiFi network. The best option is a strong signal WiFi connection. Note: The quality of your wireless network equipment is very important for Fresh KDS to work effectively. Cheap network setups will provide inconsistent performance, and may lead to dropped or missing tickets. We recommend a high performance, stable network setup. Can I Connect Fresh KDS To A WiFi Hotspot On My Clover Tablet? No, unfortunately Clover is unable to communicate with devices that are connected to its own WiFi Hotspot. Yes, for Square and Fresh KDS to communicate you need a good internal WiFi connection. Can I connect the tablet to A WiFi hotspot on my Square Register? Although we’ll be sad to see you go, you can cancel your Fresh KDS subscription at any time from the website. You cannot cancel directly from the mobile app. To cancel, log in to your account and navigate to Settings > Locations. Find the location you wish to cancel and select Edit > Tools > Manage Fresh KDS. Select Cancel Subscription and confirm the cancellation. Your subscription will remain active through the end of your current plan cycle. Why Can’t I Log In To The Fresh KDS App? Make sure your tablet is connected to the Internet and that you are using credentials from an active Fresh KDS account. Try restarting the tablet, then logging in again. If the problem persists contact our support team. If you’ve forgotten your password you can reset it using the Forgot password? link on the Fresh KDS web login page. If you are logged in to your account, you can change your password under the My Account > Change Password link. You cannot reset or change your password from the Fresh KDS mobile app, only from the website. The ticket time displayed on the tablet comes directly from your Square POS or Square Register. Check the time settings on the device that is running your Square system. 1. Check that the Printer Station settings in Square show that Fresh KDS is Connected. 2. Check that the Printer Station settings in Square indicate that Order Tickets are turned on. 3. Ensure that your Square and Fresh KDS devices are on the same WiFi network. 4. Refresh all connections by powering off/on your devices and router. Log in to your account on the Fresh Tools Website. Navigate to Settings > Locations then select Edit for the location you would like to modify. At the next screen select the Tools tab at the top of the screen, and click Manage. Select Change Plan. How Do I set up a new location? To set up a new location log in to your account on the Fresh Tools website. Navigate to Settings > Locations then select Create Location. Enter the new location’s information, then select Create. After you create a new location you will need to set up a Fresh KDS subscription. To do this, Edit the location, select Tools > Set Up Fresh KDS and follow the prompts to pick a POS type, choose a plan and enter payment information. Finally, download the Fresh KDS mobile app and follow the Quick Start Guide steps to complete the set up. To invite a new user log in to your account on the Fresh Tools website. Navigate to Settings > Users then select Invite User. Enter the user’s email address, name and role, then select Invite. The user will receive an email with a link to complete their account set up. To give the new user access to all the locations in your brand check the All Locations box during the Invite process. To give the user access to specific locations navigate to Settings > Locations. Find the location you wish to grant the user access to and select Users. Next, select Add User and enter the user’s email address. What if I accidentally clear an order? Press the "recall" button at the top of the screen and select the order you would like to recall. No, there is no communication between KDS devices. Can I Recall an Order? Yes. If you decide that you want to view an order again, press the recall button at the top of your screen and select the order you’d like to recall. How to Use Roles to give users customized permissions? Roles allow you to assign groups of users different permissions within the Fresh Tools system. The Administrator role has every permission and cannot be deleted. To add a new role navigate to Settings > Roles and select Create Role. Assign the role a name and a level in the role hierarchy. Administrator is level 1 and every other role must be a number higher than 1. A role’s level determines how users with that role can interact with other users. After assigning a name and level select one or more permissions to assign the role, then select Create. The newly created role can now be assigned to users during the Invite User or Edit User process. Each user will be able to perform the functions allowed by their assigned role. Confirm that your tablet is connected to the same wireless network as your Square Register. Make sure there are no firewall rules blocking the connection of the devices. Try turning off your tablet and reconnecting it to the network. Make sure your wireless router has UDP Broadcasting enabled. Firewall rules: tcp port 9100 and 9101; udp port 22222. Can I Change The Screen Layout? No, Fresh KDS currently functions in landscape mode only. How Do I Change The Font Size On My Fresh KDS Device? To change the font size, open the Menu and navigate to Settings > Orders. Tap the Font Size value to select a different size. To return to the orders screen open the Menu and navigate to KDS Home. How Can I Distinguish Between Different Order Modes? Fresh KDS is configured to look for the following Dining Options: For Here, To Go/ToGo, Delivery, Pick Up/Pickup and Drive Thru. You can also trigger an order mode by including the phrases “for here”, “to go”, “togo”, “delivery”, “pick up” or “pickup” in the order’s name. You can customize the colors for each order mode by navigating to Settings > Orders. How Do I Change The Time It Takes An Order To Change Colors? By default tickets turn yellow after 5 minutes and red after 8 minutes. To change these times navigate to Settings > Orders and use the arrows to adjust the transition time for each mode. The tickets will then change color according to the times for the ticket’s order mode. Note that any changes made to the caution and late times will only apply to that KDS screen. The changes will not apply to other screens in the location or to the Fresh KDS analytics. Fresh KDS emulates a printer, so it will display items based on the Square POS or Square Register printer station set up. Square supports routing by category but not by item. To exclude a category from displaying on your Fresh KDS screens open the Menu in your Square POS app or on Square Register and navigate to Settings > Printers. Select the Printer Station you want to edit, deselect the categories you do not want to show on Fresh KDS and tap Save to update. How Do I Adjust the Background Color? As of Version 1.1.0 (7/16/2018) there is a "Dark View" theme. To activate this theme, navigate to Settings > Screen Mode and select Dark View. How Do I Activate Sound Alerts? Sound alerts are available as of Version 1.1.0 (7/16/2018). To activate sound alerts, click the Sound Icon in the top left corner of the Fresh KDS screen. How Do I Use Split View? Split View allows you to display orders on different rows based on type. For example you can have the top row show tickets for Dine-In orders while the bottom row shows tickets for all ToGo and Delivery orders. 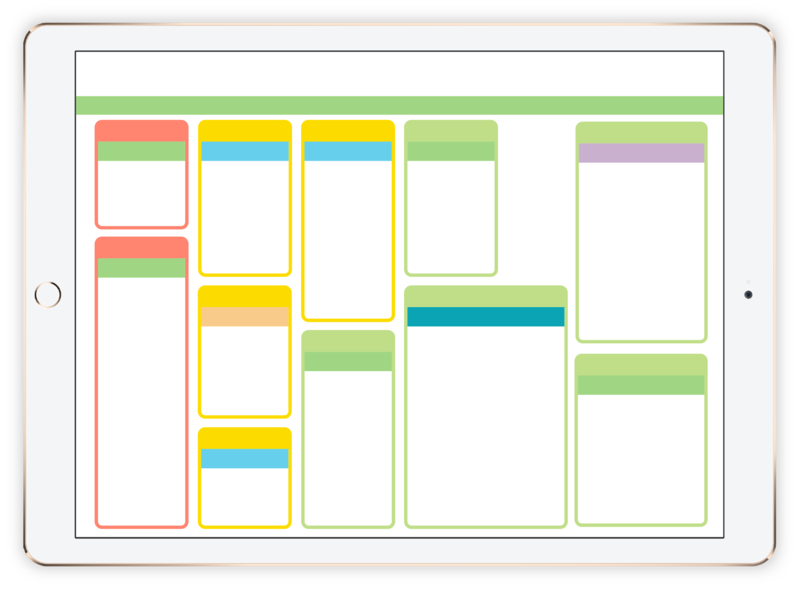 This can help organize and visualize orders by type. To activate Split View, navigate to Settings > Screen Mode > Split View. Use the checkboxes to select which order type appears on each row. How Do I Reset Color Options? To reset changes you've made to order mode, order part or order status, Navigate to Settings > Colors and select Restore Defaults. How Do I Adjust Caution and Late Times by Order Mode? By default tickets turn yellow after 5 minutes and red after 8 minutes. To change these times navigate to Settings > Orders and use the arrows to adjust the transition time for each mode. The tickets will then change color according to the times assigned to each ticket’s order mode. Can I Change The Alert Tone to A Different Sound? No. At this time it is not possible to change or customize the alert tone. You can activate sound alerts by clicking the Sound Icon in the top left of the KDS screen. Can I Make Online Orders Display On The Screen? Yes! We have an integration with ToGoTechnologies.com that allows web-based and mobile orders to display directly in Fresh KDS. To activate this feature navigate to Settings > Bolt-Ons and select ToGo. Note that this feature requires a separate ToGo account. To add a new brand to your account you need to be logged in to your account in a browser (this is not possible from the Fresh KDS app). Navigate to the Brand Navigation Screen by clicking the Down Arrow next to the current brand in the upper left side of the screen. Select Add Brand, enter the name*, and click Create Brand. You will be added as the first user and brand administrator. *Note that the brand name must be unique. Otherwise you will be told that the brand already exists. Log in to your account by clicking Log In in the top right corner of the Fresh KDS website. Navigate to Settings > Locations then select Edit for the location you would like to modify. At the next screen select the Tools tab at the top of the screen, and click Manage. There you will be able to update your payment information. How Do I Configure Fresh KDS As A Printer Station In Square For Restaurants? How Do I Activate Take-Out View? 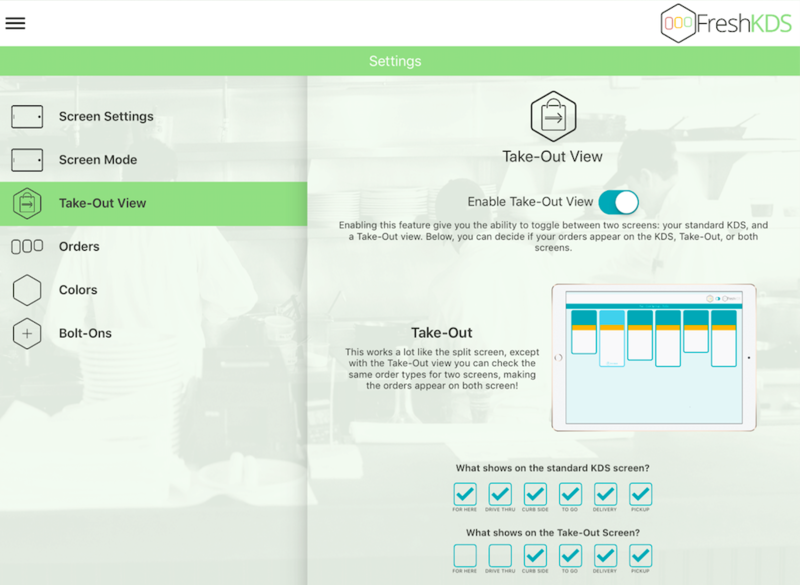 In the Fresh KDS App select Settings > Take-Out View > Enable Take-Out View. You will then see a toggle at the top of the KDS Order Screen that allows you enable and disable Take-Out View. Yes! "Mute Orders" feature has been included as of version 1.2.0 (8/29/2018). This feature allows you to disable a screen without affecting reporting metrics or getting printer errors in Square. To activate, select the Menu and click the "Mute Orders" toggle. How Do I Configure Fresh KDS As A Printer In Clover? Check the label groups to auto-print. Items assigned to these labels will be sent to the KDS based on the Clover Order Receipts settings. How Do I Activate Tile View? In the Fresh KDS App select Settings > Screen Mode and select Tile View. You still have the option for "Light View" and "Dark View" via the toggle switch. How Do I Remove A Screen? Log in to the Fresh Tools Dashboard and click "Fresh KDS" on the left menu. Then select the "Screens" tab at the top and click "Remove" next to the screen you would like to remove. How Do I Use A Bump Bar With Fresh KDS? We support the Bematechus/Logic Controls KB1700 USB bump bar. To get started, you will need to obtain the bump bar. Found here. If using an iOS device, you will need a lightning to usb adapter. Found here. If using an Android device, you will need a micro usb to usb adapter. Found here. Once you have the required hardware and cables, connect them to the device running Fresh KDS. Using normal/tile/takeout view, the keys 1-9, and 0 (10) can be used to bump orders. Using split view, the keys 1-5 will clear orders on the top row and keys 6-0 (10) will clear orders from the bottom row. If you need additional help please reach out via the chat box in the bottom right corner of the website. Plug the Micro USB adapter into the Android tablet. Connect the Micro USB adapter to the ethernet adapter. Can I Connect My POS System To Fresh KDS Without WiFi? Fresh KDS is configured to look for the following Square Dining Options: For Here, To Go/ToGo, Delivery, Pick Up/Pickup and Drive Thru. You can also trigger an order mode by including the phrases “for here”, “to go”, “togo”, “delivery”, “pick up” or “pickup” in the order’s name. You can customize the colors for each order mode by opening the Menu and navigating to Settings. To change the caution and late times, open the Menu and navigate to Settings. Tap the Caution and Late Time values to change them. All times are in minutes. Any changes made to the caution and late times will only apply to that screen. The changes will not apply to other screens in the location or to the Fresh KDS analytics. To change the font size, open the Menu and navigate to Settings. Tap the Font Size value to select a different size. To return to the orders screen open the Menu and navigate to KDS Home. How Can I Route Items To Specific KDS Screens? I'm an existing Fresh KDS customer. How do I switch to the new KDS? Check out the step-by-step instructions in our Existing User Upgrade Guide. UNITED STATES, CANADA, COSTA RICA, MEXICO, INDIA, INDONESIA, SINGAPORE, NICARAGUA, AUSTRALIA and NEW ZEALAND. If you are located in a country other than those listed above DO NOT cancel your existing KDS subscription. We are working hard to add support for additional locations. If you’ve forgotten your password you can reset it using the "Forgot password?" link on the Fresh KDS web login page. If you are logged in to your Fresh Tools account, you can change your password by navigating to My Account > Change Password. You cannot reset or change your password from the Fresh KDS mobile app, only from the website. The ticket time displayed on the tablet comes directly from your POS. Check the time settings on the device that is running your POS system. 1. Check that the Printer Station settings in your POS show that Fresh KDS is Connected. 2. Check that the Printer Station settings in your POS indicate that Order Tickets are turned on. 3. Ensure that your POS and Fresh KDS devices are on the same WiFi network. Why Isn’t Fresh KDS Showing Up Under Printers On My Point of Sale (POS) System? Confirm that your tablet is connected to the same wireless network as your Point of Sale (POS) system. Make sure there are no firewall rules blocking the connection of the devices. Try turning off your tablet and reconnecting it to the network. Make sure your wireless router has UDP Broadcasting enabled. This error message appears to be an issue with Google's Android operating system. To fix the issue, try clearing the Google Play Store cache, and then clearing the Google Play Store data. Next, restart the Google Play Store and try installing the app again. Pull down the notification bar on your Android device and hit the gear-shaped settings icon, or find “settings” in the application tray. From here navigate to Apps, or App Manager. Then scroll down and find Google Play Store. Select this, and tap Clear Cache or Clear Data. This should erase everything, and get rid of any corrupt files that seem to be causing the problem. Some Android devices do not include the "Never" timeout option. Here is a workaround to keep the screen awake as long as it is plugged in and charging: On your device navigate to Settings > Developer Options > and select Stay Awake. Note: If you don't see Developer options in Settings, it may be made available by going to to Settings > About > Build number. Developer options should appear after tapping the build number several times. This is a limitation of Square for Restaurants. Fresh KDS is only able to display the information transmitted from the POS. To contact support, please submit a support ticket using the form belowcreate a new support ticket using the form below. We promise to get back to you as soon as possible! Make sure to look through the questions in the Help Center before submitting a ticket. The answer to your question is likely already in there, and it will get your problem solved sooner! Note: This information is specific to the new Fresh KDS app. For questions regarding the legacy application click HERE. We're always adding new features and integrations! Enter your email address for product updates and feature announcements.